JDC - Archives : Children with a horse drawn wagon in front of a multistory house. Title Children with a horse drawn wagon in front of a multistory house. 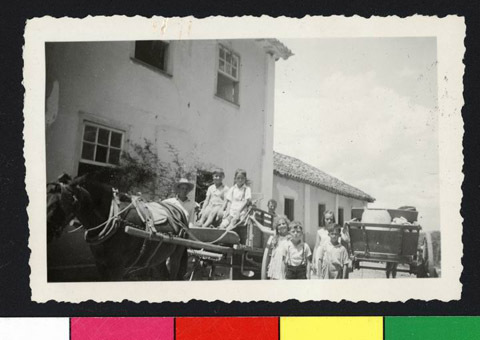 Description Youth Department (Departmento de Juventude) children with a horse drawn wagon in front of a multistory house. The camp is maintained by the refugee aid committee of Sao Paolo, (Uniao Associacao Beneficerte Israelita) with finances from JDC.